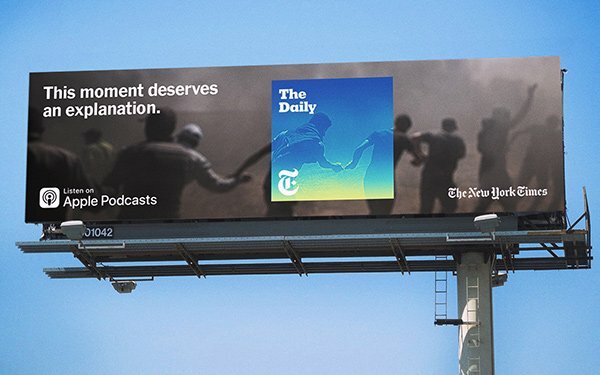 The New York Times’ popular audio show "The Daily" is set to launch its first nationwide marketing campaign Sunday, July 15. 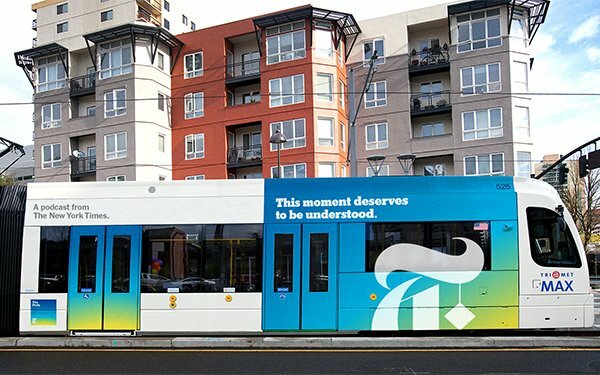 The campaign revolves around a central message: "This moment deserves to be understood." It will first appear in three U.S. cities, including highway billboard and wallscape spots in Los Angeles, a light rail wraparound in Portland and a marketing takeover of Ogilvie Transportation Center in Chicago. The campaign will also include other outdoor media. Following these physical launches, “The Daily” host Michael Barbaro will appear in 15- and 30-second spots across television, Hulu and YouTube. The ads will also run across streaming radio, such as Spotify and acast and terrestrial stations. Since its launch in 2017, “The Daily” has drawn 5 million unique monthly listeners and airs on 30+ radio stations nationwide. Those stations include five of the top 10 public radio stations distributed by American Public Media. "Daily" producer Theo Balcomb told IndieWire: “What we found on ‘The Daily’ is that actually what people respond to is context and understanding," adding it "doesn't need to be the most breaking information." In addition to its radio success,"The Daily" became the most downloaded new show on Apple Podcasts in 2017. The company announced last month that the audio series would become a TV show called The Weekly, set to air on FX and Hulu. The 30-minute show will air on Sunday nights on FX, streaming the day after on Hulu. The New York Times has also revamped its audio experience for podcasts at NYTimes.com to make it easier to access archives. The campaign will run through the first week of September.